Yorkshire Carnegie chairman David Dockray. 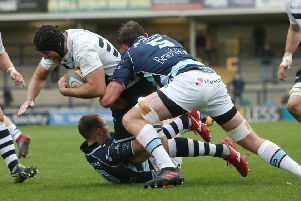 Yorkshire Carnegie are looking globally for yet another multi-million pound investment to make one last push for the Gallagher Premiership – knowing if it fails their hopes of a return could be gone for good. The Championship club need fresh funds to improve their squad significantly for the 2019-20 campaign given it will potentially be the final chance to return to the elite. Talk of ‘ring-fencing’ the Premiership will not go away especially since Premiership Rugby sold a stake to private equity firm CVC Capital Partners for £200m in December. 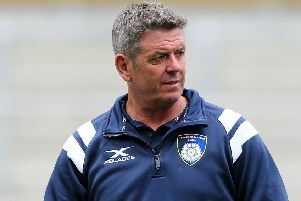 Carnegie – absent from the top flight since their days as Leeds Carnegie in 2011 – realise they cannot risk being left on the outside much longer in case Premier Rugby does push through with the notion of ending promotion and relegation. With that in mind the club have appointed Valeo, specialists in attracting new investors to Premier League and Championship football clubs, to lead the search and America is on their radar. The Yorkshire Post understands they seek upwards of £5m, but it is the third time in only five years Carnegie have publicly stated a need for outside investment, a sign of just how difficult it is to run a club in the cash-strapped second tier. 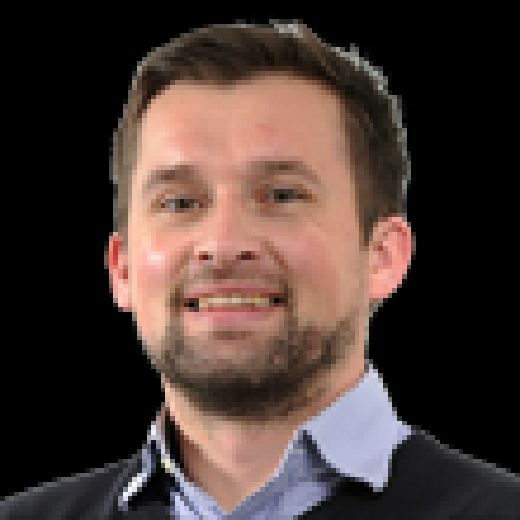 Relegated London Irish, one of 13 shareholders in Premier Rugby, are the current Championship leaders and clear favourites to return this term. However, with the £40m Emerald Headingley revamp almost complete and a Rugby Football Union countywide academy, Carnegie are arguably the best placed to challenge next season if they can raise funds to improve Chris Stirling’s squad. In a statement to The Yorkshire Post chairman David Dockray said: “The vision of the shareholders and directors has always been to provide the county with a sustainable and successful Premiership club and the time is again right to make a concerted push for promotion. Carnegie chief executive Gary Hetherington added: “For the club to achieve this ambition it needs new investors to supplement the outstanding contribution made so far by the current shareholders. “The investment made by CVC Holdings into Premier Rugby Limited is a game-changer for top-flight rugby that creates new opportunities for us to secure the funding needed. “Given the investments already made in facilities at Emerald Headingley, all new funding will be directed to strengthening the Carnegie squad and rugby staff for a push on promotion. Valeo chief executive Hayden Evans said: “This is an exciting opportunity for new investment in a rapidly expanding sport. “The recent CVC Investment supports our belief that major global media rights for Premiership Rugby are due to experience dramatic growth over the next few years. Sir Ian McGeechan, appointed Carnegie’s executive chairman in 2012 with part of his remit to build relationships with businesses and sponsors, has not commented in the statement. Carnegie were bottom at Christmas, facing relegation to the semi-professional third tier, but with a raft of signings have won eight of their last nine matches ahead of Sunday’s visit from Jersey Reds.